There’s nothing quite as special as sharing moments with your family. Whether it’s a big celebration, a family holiday, or just a day of exploring your hometown, you are likely to snap a few photos along the way. These pictures are what capture the moment and allow family members to look back on the memory fondly. Over time, most families tend to accumulate a fair number of photos, and if they aren’t probably archived and organized, they can become lost or forgotten about. To help ensure that you can pull up those memories of special family moments anytime you feel like it, we’re going to take a look at how you can create a digital archive of family photos. While you may find yourself snapping photos in digital format the majority of the time, you still may have a box of special family photos tucked away in the house. These could even be old family heirloom photos before digital files existed. It’s a good idea to create digital copies of your prints as a backup. You can scan all your photos and then save them as a digital photo. Over time, photos start to fade, can be become torn or ripped, so if you’ve got that digital copy, you won’t have to worry about damage. Now it’s time to clean up your existing photo library. This means deleting any photos you don’t want to keep. Perhaps the lighting was poor, maybe the photo was blurry, or it just may not have been of any importance. There is no point in adding these types of pictures to your archive. One of the biggest mistakes people can make is to store all their cherished photos on their computer’s hard-drive and just hope for the best. If anything should ever happen to your computer, you are at risk of losing all those irreplaceable memories. Instead, once you’ve put your archive together, you will then want to start burning them onto a DVD. You can check out the Burnworld.com website for reviews on DVD burners, such as the DVD Ranger review. Do You Want to Make It an Extended Family Project? One other thing to consider is whether or not you want to make this an extended family project? Do you want extended family members to also be taking the same steps to create a digital archive so that at the end of that you can all use filesharing software to access each other’s library? It can certainly provide you with access to many more memorable moments. 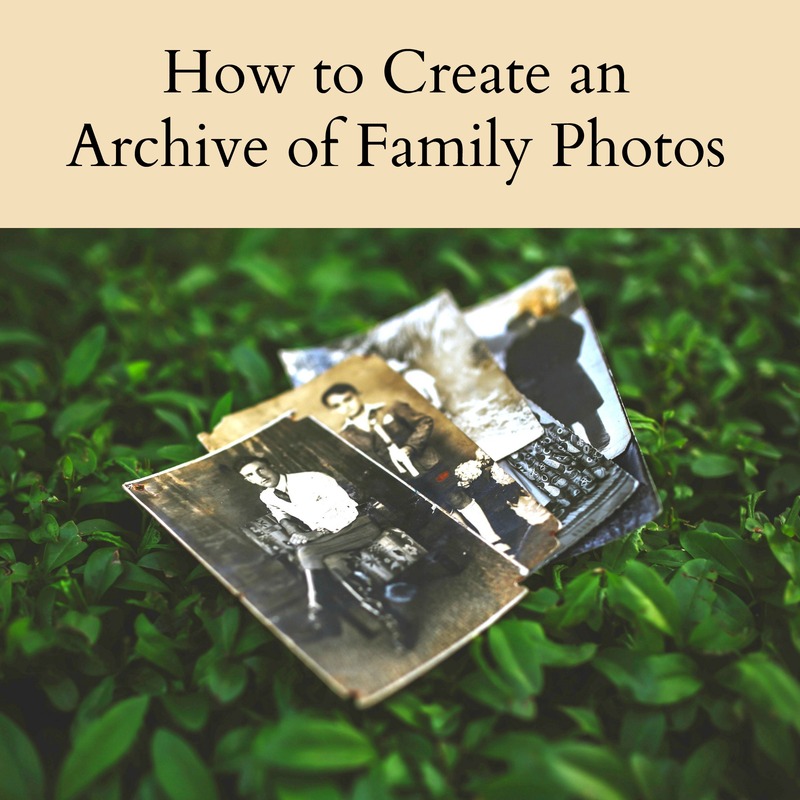 By taking these steps, you will create a family archive of photos that is fun and poignant to go through. At the same time, you’ll have created a database that is safe and secure on a DVD, making it easy to browse through and find the moments you are looking for.